The former American Vice president and global climate change activist was speaking at the Games for Change Conference in New York City on Monday, citing the potential that the gaming industry now has on consumers. Delivering the keynote speech, Gore then went on to detail just how powerful games are today. This is a very large, extremely significant industry, with a radically diverse and growing audience of players on all kinds of platforms. Games are the new ‘normal’ for hundreds of millions of users every month. 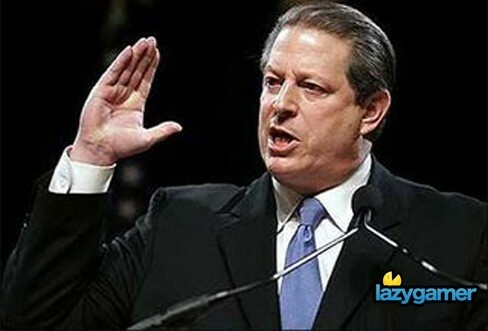 Gore also admitted that the last game he was proficient at, was most likely Pong. He then went on to explain the challenges that gaming will have to get across positive messages without alienating their fan base. The secret, he claimed, was having a group of “really good partners who know what they’re doing.” But to find those people specifically, that is the challenge. “How you insure that the integrity of the content is not in any way compromised, but rather enhanced,” he said, is another major roadblock. Gore then directed this challenge to the conference attendees to take up the task, as well as the millions of gamers worldwide . Gaming is the new “normal,” after all, so why shouldn’t we be involved?